The Judging Panel includes Steve Brotman, Chief Managing Director of Greenhill & Co.; Matthew Commons, CFO of FloDesign and winner of the 2008 MIT Clean Energy Entrepreneurship Prize ($200K); William Potter, Chairman of Meredith Financial Group; David Rose, Chairman of NY Angels; and Lori Smith, a partner at the law firm Goodwin Procter LLP. Click to download the full Official Program for the Fifth Annual Pace Pitch Contest (PDF). Matthew Commons, Chief Financial Officer, FloDesign Wind Turbine Corp.
Steve Brotman, Chief Managing Director & Co-Chairman of the Investment Committee, Greenhill & Co.
Steve Brotman is a Managing Director of Greenhill & Co, and co-founder and co-head of Greenhill SAVP. Prior to founding SAVP in 1998, Steve was the founder, CEO and Chairman of AdOne Classified Network, one of the nation's leading classified ad web sites which merged with Powerdz to become PowerOne Media. While at SAVP, Steve was a finalist for the Ernst and Young Entrepreneur of the Year Award 2000 and was named in Crain's 2001 Tech 100. While at AdOne, Steve, in 1997, was selected for Crain's Top 25 Players Shaping Silicon Alley and the 1995 Top 40 under 40 among New York businessmen. Steve currently serves on the boards of ReachForce, Managed Systems, Critical Mention, Cosential, Game Trust (Observer), and Knovel (Observer) and has previously served on the boards of Medidata (Observer), DataSynapse (Observer), 7thOnline and Bla-bla (acquired by UGO in 2001). In addition, Steve has served on the board of the MIT Enterprise Forum and as a mentor and judge for the Columbia Business School Lang and Greenhouse Funds. Steve received his undergraduate degree in Economics from Duke University and a joint JD/MBA degree with honors from Washington University. Matthew has worked with renewable technologies since 2001 in positions at Enron, American Electric Power, LS Power Equity Advisors and The NorthBridge Group. His experience includes development, financing, and power sales agreements for over 500 MW of wind resources. Matthew earned BS and BA degrees from the University of Pennsylvania (Wharton School), and an MBA with high distinction from Harvard Business School. At FloDesign, he is responsible for financial management, business development and strategic planning. FloDesign designs, manufactures and sells high efficiency utility-scale shrouded wind turbines. Matthew was on the winning team of the 2008 MIT Clean Energy Entrepreneurship Prize ($200K prize) and the 2008 MIT Ignite Clean Energy Competition ($100K prize). Mr. Potter is an investment/merchant banker with more than 30 years of experience. He has managed closed-end funds in the United States and Canada and served on the boards of more than 20 United States domiciled public companies, as well as numerous foreign-based companies. Mr. Potter has been the Chairman of Meredith Financial Group since April 2004 and served as the President of Ridgewood Group International Ltd. from June 1996 to March 2004. His current directorships include the National Foreign Trade Council, the nation's oldest lobbying organization; Aberdeen Asset Management Limited; and Alexandria Bancorp, a banking subsidiary of Canadian money manager Guardian Capital Group. Mr. Potter is also a director of the following other U.S. reporting companies: Aberdeen Asia Pacific Income Fund Inc. (1986 to present); Aberdeen Australia Equity Fund Inc. (1985 to present); and Aberdeen Global Fund Inc. (1991 to present). Mr. Potter received an AB degree from Colgate University and a MBA degree from Harvard University. Mr. Rose is Chairman and CEO of Angelsoft, which operates a collaboration platform for early stage equity investing; and Chairman of KoolSpan, Inc., a developer of leading-edge network security technology. He also serves as an active early stage investor in companies including SignStorey, Koolspan, BioScale, DigitWireless, Metaphor Solutions, Goodmail, Content Directions, Zero-G, Critical Mention, Spotlight Data and others. Prior to founding AirMedia Corporation in 1988, for which he served as CEO for over ten years, his career included over fifteen years in real estate development, government, teaching and urban planning. Mr. Rose was co-founder and Chairman of The Computer Classroom, one of the world's first computer training firms, and spent over ten years developing technology-enhanced commercial and residential real estate in New York, Washington, DC and Boston with the firm of Rose Associates, Inc. Earlier, he served as Deputy Director of the New York office of US Senator Daniel Patrick Moynihan. 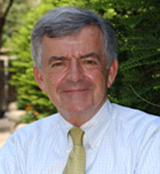 In that position, Mr. Rose represented the Senator on multiple civic and public boards and was the Senator's Special Assistant for high technology and urban planning. A native New Yorker, Mr. Rose has a BA from Yale University and an MBA in Finance from Columbia University Business School. He is a graduate of the New York City public school system and Horace Mann High School. He is profiled in Marquis Who's Who in America, Who's Who in the World and Who's Who in Business and Industry. The Market: In developing countries, the informal (unregulated, untaxed) sector is a huge portion of the economy. In Kenya, informal sector production is $17.9 billion (34% of GDP), employs 31.5 million people (86% of the population), and added 500,000 new jobs in 2007. Meanwhile, mobile phone penetration is at 34% and growing, as even the poorest Kenyans recognize the value of connectivity. The advertising industry in Kenya is sizable and growing — $200 million per year last year. Safaricom, the largest mobile phone operator, grew its advertising budget 25% over last year. Marketers are seeking ways of reaching new customers, throughout the socio- economic spectrum. The Need: People running informal businesses transact almost exclusively in cash, but often must provide credit to suppliers or customers. An avocado trader may need to sell to his retailers on credit and/or offer farmers credit to harvest the crop. But, the informal Kenyan economy has almost no credit assessment mechanism (scores, payment histories) so the trader has no effective way to assess counterparty risk or reputation. This makes his business riskier and growth more difficult. Informal sector entrepreneur constantly ask themselves two questions: 1) How do I know who I can trust.? 2) How do I leverage my good reputation to win more business? The Solution: Dango will answer these questions by providing a dynamic mobile phone-based community of informal entrepreneurs that will help members broaden their network of potential business partners and customers. Based on a simple, easy-to-use SMS interface, Dango will allow members to create profiles that include information about their business, location, and needs and then link to friends, family, and business acquaintances. Members and non-members will then be able to search the Dango network to look for recognized service provides and find credit and service references. Revenue Model: First, Dango will charge advertisers to serve its network with paid search and targeted broadcast SMS advertising. For the first time, advertisers and other content providers will reach specific segments of the informal sector with targeted messages to relevant Dango members. Second, Dango will charge a subscription fee to institutions (such as banks) for access to the most current database of Dango members and their demographic information, thus enabling them to assess the business potential and risk of soliciting business (such as microfinance loans). Luke Davenport spent over two years in Kenya establishing a microfinance and agricultural marketing program for smallholder farmers, traders, and informal entrepreneurs. In addition, Luke worked as a Junior Associate with Broad Cove Partners, an emerging markets private equity and microfinance advisory firm, and as a Program Officer at the Institute for SME Finance, an advisor for risk capital investors in small and medium enterprises in developing countries. He is currently co-president of the International Development Club at CBS. Luke has a BA from Wesleyan University and will graduate Columbia with an MBA and a Masters in International Affairs from the School of Public and International Affairs. Rich Rosenblatt: Prior to business school, Rich worked at The Richard Franco Agency, an import/export commodities broker representing exporters of tree nuts and other agricultural products from more than a dozen developing nations including Kenya. At RFA, he specialized in managing client relations and developing innovative financing and marketing solutions for exporters. Prior to joining RFA, Rich was an operations analyst at Capital One focused on maximizing customer loyalty. He holds a BS in Management Science and Engineering from Stanford University and is an MBA candidate at Columbia where he serves as the co-president of the school's entrepreneurship club. Felix Macharia is currently a second year student at Columbia Business School. Felix is a native of Kenya and a naturalized U.S. citizen. Prior to business school, Felix was a manager in PricewaterhouseCoopers' New York Audit Practice, serving clients in the Financial Services Industry. In his role, Felix was responsible for coordinating and delivering all firm services to his clients. Additionally, Felix was a member of the United States Army Reserve and served on a 12-month combat tour in Iraq under the 411th Engineer Brigade. Felix is an avid squash player and frequently runs 5-Ks in support of charitable causes. First Earth is an indigenous foods product line. Through our prior work with Conservation International, Rainforest Alliance, and Root Capital, we have identified a dire need among indigenous communities in developing nations for rural economic opportunities. Many of these communities live near vital conservation areas, and through the creation of sustainable agriculture export opportunities into Western specialty food markets, there is an opportunity to create a simultaneous win-win-win for their family incomes, the environment, and the health and enjoyment of conscious consumers. First Earth will specialize in teas and dried foods. The premier product will be a line of rooibos teas sourced from the descendants of indigenous producers and the original consumers in South Africa. Their wild-harvested product is vastly superior to what is commonly on the market, yet the co-operative from whom we will source our tea are threatened with being wiped out by giant, elite-owned, mono- cropping plantations. We have identified our target consumers in the Lifestyles of Health and Sustainability (LOHAS) market. There are 40 million Americans included in the LOHAS demographic who create a $300 billion market. With the consumption of one of our products, the consumer will engage in an act of cultural preservation, and the capture of the highest quality functional nutrients within the food. Our products will also communicate a message of "beyond organic and Fair Trade," which is a rising preference and concern in the market. First Earth's tea products will fall under the specialty tea segment, which held 36% ($2.7B) of the market in 2007 and is projected to command 50% of the tea market by 2012 ($7.5B). Rooibos, our premier product, represents 2% of the specialty tea market ($54M). While other tea brands have a "red" tea flavor, none are dedicated to rooibos itself, nor do they offer the value of cultural preservation that First Earth offers. Thus, we expect to become the market leader in rooibos. The marketing concept is to heavily brand each product — inside and outside the box — with the story of the aboriginal producers. We will initially target the LOHAS demographic in New York City, and will secure distribution at medium sized retailers who are committed to our cause. We have already had discussions with a Food Emporium, a potential retailer. For First Earth, it is the fact that soil, culture, and taste quality are ultimately bound together that generates the opportunity for creating exciting new value. The value proposition offers unparalleled taste quality, unsurpassed functional-nutritional value, cultural preservation, and environmental preservation — all bound together in the overall sense of native vitality from the source. Diana Hardeman has two years of experience performing financial consulting for hospitals as a Senior Associate at Triage Consulting Group, a medium sized healthcare consulting firm. She is a free-lance marketing and brand consultant for Finn Jewelry, a luxury jeweler, and EmPower Clean Energy Solutions, a solar energy installer. Diana holds a BS in Business Administration from the Haas Undergraduate School of Business at the University of California at Berkeley and is a second-year full-time MBA student at NYU Stern. Expert advisors to the team include John Mackey, CEO of Whole Foods Markets; Betsy Powers, President of the Culinary Collective; and Hans Heer, Senior Vice President of the Food Emporium. Joshua Levin founded and scaled RedKey Education, a private education services and technology company that now operates in Boston, Providence, New Haven, and Paris France. He was worked with Conservation International, Root Capital, and the Rainforest Alliance, and owns and runs Goodeater.org. He holds an honors BA degree from Harvard University in international development and is a second-year full-time NYU Stern MBA student. G.I.V.E. was founded in the summer of 2008 at the University of Virginia. The idea originated from a group of college students who were discussing the lack of positive influences for teenagers living in disadvantaged neighborhoods. We decided the best way to take action was by creating an organization that was devoted to promoting college awareness in these neighborhoods. Our objective is to bring college students to underperforming high schools where they would give presentations and arrange local college visits for high school students. We feel that many of these high school students have grown up in environments where they have not realized the true value of a college education, which is confirmed by their low high school graduation rates. This being the case, we hope to inspire these students to graduate high school and attend college. Currently we are working at Boys and Girls High School which is located in Bedford Stuyvesant, New York and has a 35% graduation rate. Since early September, we have worked with 150 students for hour long sessions. After the presentations we gave, we were taken aback by a group of wide-eyed teenagers who showed interest in what we had to say and thanked us for taking the time to talk with them. We thought it would take longer for them to be receptive, but it turns out a few encouraging words can go a long way. The school has also agreed to sponsor a trip for 150 students to Stony Brook University, where the students will experience the college environment and see what college can offer them, something that the streets probably cannot. In due course, we want these presentations to aid in the development of the traits that are necessary once these students are out of high school. College visits in combination with our presentations, will indirectly aid in stopping graduation rates from further diminishing in schools located in underprivileged areas. We are giving the students something to look forward to after graduation. College is something that should definitely be one of them. Finally, we are taking steps toward working with all the students in the school and spreading our cause to other high schools in NYC.G.I.V.E was recently awarded a DoSomething Grant for our social venture idea and is currently involved with New York University's Reynolds Youth Venture which has helped us in developing a business plan. Larri Rudma is co-founder of G.I.V.E. He is currently a full-time undergraduate sophomore at New York University working towards receiving a Bachelor of Science in Neural Science and wishes to pursue an MD/PhD program after graduation. This is because he wants to continue to help people through a combination of knowledge from research and the skills of a clinician. Larri's ability to communicate with these students comes from his mother's profession, as a teacher in an underprivileged area. His ability to connect with the students comes from learning some of these techniques used to establish this connection from his mother. Larri is also involved with the immigrant population of New York, having worked with the Hebrew Immigrant Aid Society since the summer of 2007 using his own success and experience to help other immigrants, being that he and his family emigrated from Ukraine in 1994. Larri is expected to graduate from New York University in May of 2011. Neel Patel is co-founder of G.I.V.E. He is a full-time undergraduate sophomore at New York Institute of Technology in Old Westbury, NY studying Life Science. He has taken a particular interest in community service, and one day wishes to extend his passion with working in underserved communities by becoming a physician. Having worked with both physically and mentally handicapped children while volunteering in hospitals, he has decided to embark on a new approach in helping youth. In the summer of 2007, Neel met a group of peers who felt something needed to be done in order to reverse the low graduation rates of high school students. On that basis, G.I.V.E. was established. Working with the Boys and Girls High School in Bedford-Stuyvesant, G.I.V.E. has currently reached out to 150 students, and hopes to expand to more students and other schools in New York City. Neel's vision is to see G.I.V.E. spread throughout the country, so that every child is motivated to pursue a post-secondary education. Neel is expected to graduate from New York Institute of Technology in May of 2010. Problem: There are no cost-effective communication devices that assist people who are not able to speak. This population, consist of stroke survivors or speech impaired individuals. Solution: The device has least 10 different phrases for the disabled person. Record phrases by the person in charge of the individual. The ability to put the device on a wheelchair or on the person's hand will be suitable to carry anywhere because of the attached strapped. The size will be 6' by 6' and will weigh less than 2oz. In the back of the device will have an on and off the button. In the back of the device there will be an outlet for an AC adapter to recharge the device. Market: There are approximately 7.5 million people in the United State not able to use their voices. This product will be directed at disabled individuals, nursing homes, hospitals and doctors offices. Competition:: Most makers of handheld devices have priced the devices at high levels, one device is priced at $2,500. The difference with my product it will be cheaper than the rest. Sales: My advertisement will be to setup a website. I will hope to generate information from various sources, to send pamphlets to individuals who are disable. I will have a sales team go to nursing homes and hospitals to speak to representative about the product. My name is Anita Jagtiani I am currently a Graduate Student at Pace University and will complete my Masters in Information Systems in May of 2009. I am also taking an Advance Certification in Information and Communication Technology Strategy and Innovation. I became interested in Social Entrepreneurship after taking IS 620 – Strategy and Innovation with Dr. James Gabberty. I learned a great deal in this course and began to able to put my ideas to work. I currently work for American International Group, Inc. within the corporate legal department where I work with databases. I am hoping that eventually with the experiences that I have gained throughout my time at Pace as well as my work experience, I would be better able to assist people with disabilities. RareShare.org was founded in the summer of 2008 on the idea that there is a better way to bring together patients, families and healthcare professionals to share knowledge and personal experiences about rare medical disorders. RareShare is a social hub of online communities focused on the rare disease market. While individually these diseases affect a small portion of the population, together they affect over 30 million individuals in the United States and Europe alone. In the United States there are over 1,500 diseases that qualify for Orphan diseases status which are defined as diseases affecting less than 200,000 people. Due to the low number of occurrences of individual rare diseases, there is often a lack of information, support and communication between people affected by these rare conditions. RareShare creates micro communities centered around individuals, families and friends affected by these ailments, allowing them to share experiences, treatment opportunities and to provide support through often times uncharted territory. While for most rare diseases there are online resources offering static information, there are few sites that offer peer to peer support and up-to-date information on treatments. Upon joining RareShare, members can create a user profile and join individual disorder communities. Once a member of a community, members can update information (facts, resources, treatments, tips, etc.) wiki-style and post questions or comments to community forums. Healthcare professional have the option of becoming "community experts" allowing them to moderate discussions. Future feature additions to the site include personal journals, PubMed articles, clinical trial information, and advanced communication systems between members. Since its launch in June 2008, RareShare has registered over 700 active users spanning over 500 rare disorders, a true testament to the need for this service. RareShare has been featured in multiple publications including: The Toronto Star, St. Louis Post, Read Write Web and the Genetic Interest Group. RareShare's current focus is on building its user base because as with any social network, the value is directly proportionate to the number of individuals using the service. By partnering with disorder advocacy groups and various other marketing and public relations campaigns RareShare hopes to reach those individuals searching for information and support. Eric Steele graduated from Indiana University in 2005 with a bachelor's degree in finance and entrepreneurship. After graduation, Eric founded ForePoint Networks, a wireless internet service provider delivering high-speed connectivity throughout rural Indiana which grew to cover over 2,000 square miles of wireless coverage. In the summer of 2008, Eric cofounded RareShare with David Isserman who is currently pursuing his MBA at Columbia University. Eric's prior experience includes working for various technology startups and investment companies where he has assisted in closing multiple acquisitions and rounds of financing.